Valentines Day is fast approaching. Right now, everyone is thinking where to spend a romantic date with their love ones! 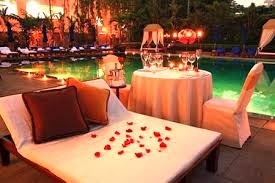 Some think of a quiet place with a beautiful view to spend a night with their boyfriends or girlfriends. Other just want to have a simple dinner or a movie date. Philip Abadicio, a TV host and the so-called "The Lifestyle Guy" listed the Top 5 Most Romantic Places to spend a date with your love ones in his website www.philipabadicio.com. 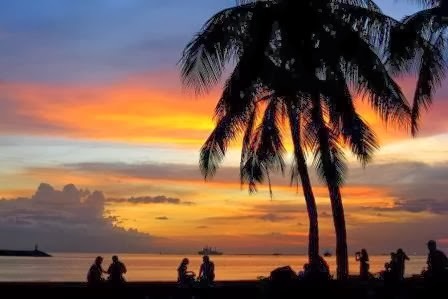 Known worldwide as the most beautiful sunset, it has enthralled many people for generations. Depending on your budget, you can sit on the sea wall along Roxas Blvd. and nibble on nilagang mani or sip champagne cocktails by the poolside of the Sofitel with your mama or papa bear, but the stunning sunset remains the same and enlightens your romantic spirits. It’s free and compliments of Mother Nature. 4. U.P. 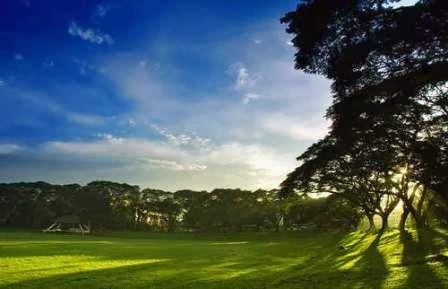 Sunken Garden in Diliman, Q,C. Surrounded by American-era buildings with hallowed halls and a pedagogic past plus 100-year old Acacia trees with outstretched branches that provide shade, the sunken garden is made even more romantic by the rustling of the leaves and the late afternoon sun that penetrates it. Bring a blanket and a picnic basket or simply lay on the grass, hold hands and enjoy your free time. Feeling scared in a cemetery makes you want to huddle close to your special someone and so any cemetery is a romantic spot. 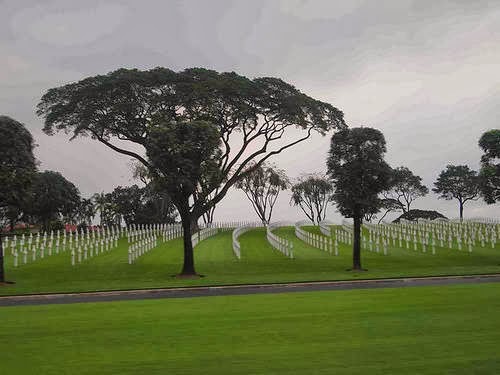 The American Cemetery is leveled up not in scariness but in symmetry of architecture and landscaping. Walk through the wide open spaces at dawn and imagine all the young men buried here who left their loved ones in tears almost 3 quarters of a century ago. As you feel wispy and sentimental, hang on to the arms of your baby baby and make sure to never let go. Jamboree Lake in Muntinlupa is the smallest natural lake in the Philippines and right outside the perimeter of the New Bilibid Prison, the mini body of water has a small island in its center with Lady Justice reminding all of use that she is blindfolded and indeed, love is blind. Use all your senses and take in all the sights and sounds of this magical lake as you embrace each other and your future dreams of togetherness. Toss a coin on the lake? It’s optional. 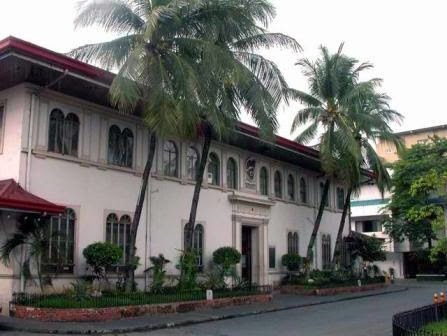 It engulfs the San Juan River but it’s entrance is in Horseshoe, Quezon City so you enter thru N. Domingo St. Go past the main building and snake your way through the reservoir. Find your perfect private paradise and watch the sun glisten on the waters, listen to the birds chirping and feel the loving touch of your partner’s hands caress your face. Behold, it’s free and it’s lovely. So what do you think about these places?! Aren't they romantic?! Which of the five do you love and like the most? !